Millbank Tower was the site of the big Nokia 800 Lumia event in central London tonight. Nokia projected onto the tower, while DeadMau5 played a special outdoor set to celebrate the new Nokia 800 Lumia Windows phone. 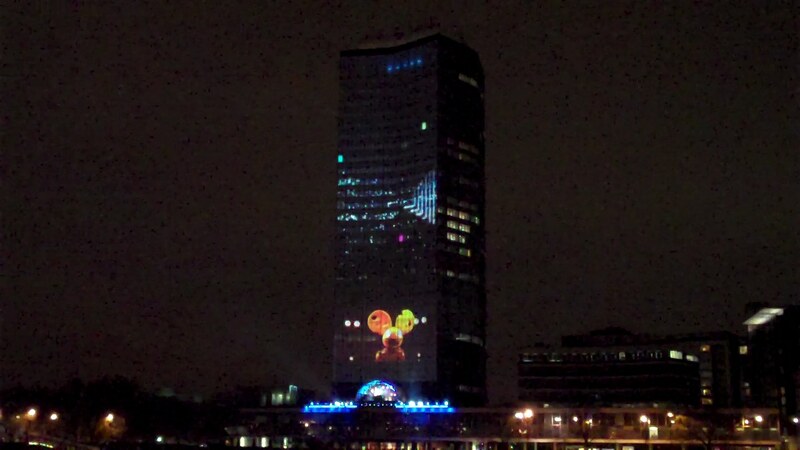 The Nokia DeadMau5 event was witnessed by crowds at Millbank Tower and on the Albert Embankment on the south bank of the Thames – with some even lucky enough to witness the DeadMau5 show from boats on the Thames. NB any voices heard on these films are from the crowd and not from myself or anyone with me. I admire the idea, the comments from the crow prove how efficient such an ad is!